Front Street Cafe is honored to be an official sponsor of the Philly Block Project and Philadelphia Photo’s Arts Center’s year long project. Philadelphia Photo Arts Center is devoted to the study, practice and appreciation of contemporary photography. We offer classes and workshops, fine art printing services and the option to create work in our Artist Lab, exhibitions and lectures. 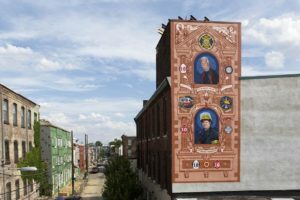 Residents of N. Cadwallader Street in the South Kensington neighborhood of Philadelphia PA pose for Philly Block Project artists Hank Willis Thomas and Wyatt Gallery in June, 2016. 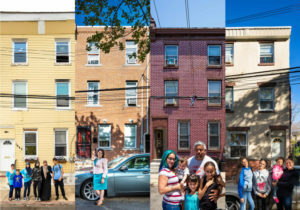 From October 2015 to November 2016, the Philadelphia Photo Arts Center (PPAC) and renowned conceptual artist Hank Willis Thomas, curator Kalia Brooks and other collaborating artists, including Lisa Fairstein, Wyatt Gallery, Hiroyuki Ito, and Will Steacy, have partnered to launch the Philly Block Project—a year-long, socially-engaged collaboration that provides a visual narrative of South Kensington’s past and present through photographs, while creating shared spaces for fostering interconnectivity, celebrating the history, and preserving the heritage of the community. See the article in Philly Mag here. On September 7th 2016 Front Street Cafe was the proud host and sponsor of the VIP dinner for the project, along with donations from local Philadelphia Brewing Company, Faber Distilling, and Stateside Spirits the evening was one to remember! The Cafe served 75 guests in the private garden and the weather was perfect. Check out all the upcoming events! Archive Collective: South Kensington 19122, running from June 9-August 28, 2016, comprised of photos submitted by individuals who have called South Kensington home over the years. The Philly Block Exhibition from Hank Willis Thomas and collaborating artists, opening September 8, 2016 and featuring images from South Kensington’s present. Then come back to PPAC for the project’s wrap up celebration with a street festival on Saturday, September 10, 2016. And at the Philly Block Project’s core, ongoing community dialogue and engagement. Over the course of the year, PPAC will serve as a meeting place for residents, wherein monthly community meetings, free artmaking workshops and performances will be hosted in the PPAC gallery. These gatherings will allow residents and partners to inform the direction of the community-driven project as it moves along, while sparking connections between neighbors new and old. PreviousPrevious post:Philadelphia History: Privy Diggers & Front Street CafeNextNext post:Front Street Cafe & Philly Fringe Festival!